Very few people have been able to wrap their heads around the "bizarre" relationship between Donald and evangelicals. Part of the reason for the unusual alliance, Peter Wehner speculates in yesterday's New York Times, "is that many evangelicals feel increasingly powerless, beaten down, aggrieved and under attack." But there may be a better explanation for Trump's popularity with this bloc, the Barna Group points out, which is that some of these "evangelicals" aren't evangelicals at all! If you want to understand where true evangelicals stand, they argue, ask the churchgoers. "Most polls are based on self-identification," the Group has found, "instead of what people do or believe... Reuters and others have found that church attendance distinctly decreases evangelical support for Trump, who has the least-religious supporters among the GOP candidates." Barna's definition of evangelical is more "rigorous." To qualify, voters have to meet nine key faith criteria ranging from a personal commitment to Jesus Christ to agreement on who God is. Using that filter, true evangelicals, the Group notes, "whose faith hinges on obedience to God's commands, are far more interested in the character of candidates than any other segment." Looking at the election through Barna's lens, the mirage of Trump's broad evangelical support begins to fall away. "Overall, far more evangelicals view Trump as 'very unfavorable' than 'very favorable," the survey notes. "Researchers found a 38 percentage point difference between the extreme ends of Trump's favorability spectrum... When Barna asked its 869 survey respondents to choose their favorite candidate, evangelicals who identified as Republicans split between Cruz (38%) and Carson (35%), trailed by Rubio (14%) and Trump (11%). Practicing Christians also chose Cruz first (30%), followed by Carson (20%), Trump (18%), and Rubio (15%)." Last fall Dr. Michael Brown interviewed Dr. Lynn K. Wilder, a former professor at Brigham Young University who left Mormonism for Biblical Christianity, and wrote about her journey in Unveiling Grace: The Story of How We Found Our Way Out of the Mormon Church. The following provides a riveting, fairly comprehensive phone interview. In it, Dr. Wilder provides excellent, essential information about Mormonism. Following, I've provided the major portion of an excellent and helpful Amazon review of Wilder's book.
. . . As I began Lynn's book, I was skeptical of where it might go or what her message might be. Many books about Mormonism tend to land very heavily in the apologetics side of the scale, leaving the reader with a negative, almost sterile feeling in their heart about the way people are saved from Mormonism. In fact, after reading most books concerning Mormonism, all you want to do is just stay away from its deception at all costs! Lynn however has been able to skillfully reveal apologetic differences between Mormonism and Christianity by weaving what she learned into her story of salvation. Instead of pages and pages of information on the differences between Mormonism and Christianity the reader gets the story of a person fully living Mormonism and little by little coming to believe in the God of the Bible. As this story unfolds Lynn teaches about Mormon and Christian belief throughout in a way that is personal and heartfelt. Readers get a great picture of real Mormonism; a culturally enmeshed belief system that leaves little room for critical thought stranding its adherents in Zion, blissfully blind. Readers also get a real picture of the one true God found in Christianity; able to save anyone out of their situation through the truth about Christ found in the Bible as revealed to individuals by the "Dancer of grace" (314). 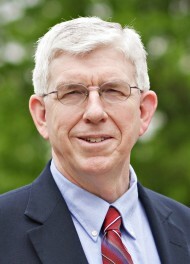 Tom Nettles is professor of historical theology at the Southern Baptist Theological Seminary. His most recent publication, years in the making, is a major biography of Charles Spurgeon. This is a slap in the face for those of us who are always looking for the politically appropriate [safe] time to say something true. 2. George Marsden, Jonathan Edwards. For the purposes of seminary class, I use Murray’s biography. To show, however, in a charming but serious-minded way to a secular public how seriously and deeply a Christian can think about issues of ultimate importance, this is the book to loan (you could not give many of them away). 3. Roland Bainton, Here I Stand. A beautifully crafted story of a rough and resolute man whose discovery of truth so melded itself into his soul that he feared to distinguish between his truth-informed conscience and the final claim of God on his life. 4. Sharon James, My Heart in His Hands: Ann Judson of Burma. Sharon James gives a sensitive and vigorous unfolding of one of the most intensely important lives of nineteenth-century American evangelicalism. Without Ann Judson, American evangelical foreign missions might never have gotten off the ground. 5. Iain Murray, D. Martyn Lloyd-Jones: The First Forty Years, 1899-1939 and D. Marty Lloyd Jones: The Fight of Faith, 1939-1981. When the Tea Party started its political rise, the clear focus was economic -- specifically the U.S. deficit, taxes, and spending. They come in all shapes and sizes, from the farm, town square, and even Capitol Hill. I have a hard time faulting Ryan Mauro's reasoning. Richard Land (Director of the Southern Baptist Convention’s Ethics and Religious Liberty Commission), thinks Newt has a serious problem with evangelical women. I'm not convinced of that. Read more. . .
Update 11/19/11: For the record, the nasty story of Gingrich serving divorce papers to his wife as she lay dying of cancer is untrue. Click here. The swallows and martins twittered over our heads, the cattle grazed contentedly a few yards away, and the wind whipped in off nearby West Dale Bay, as we gently lowered the casket of John Stott's ashes into a small grave in the corner of the cemetery in Dale. Dale, so named centuries ago by the Vikings because it sits in a little valley between the ocean to the west and Milford Haven to the east, is the village in Pembrokeshire, on the very tip of south west Wales, where John discovered the little farm called The Hookses which he purchased in 1954. It was at The Hookses that John wrote almost all of his 51 books over the half century that followed, making himself a much-loved member of the local church and village community in all the weeks he stayed there during those years. In 2007, the Interdenominational Foreign Mission Association of North America (IFMA) changed its name to CrossGlobal Link, citing how the words "interdenominational" and "foreign" have changed meanings since its 1917 inception. The mission organization EFMA changed from its original name, Evangelical Foreign Missions Association, to Evangelical Fellowship of Mission Agencies in 1992 to include domestic missions as members. In 1997, it changed its name again to The Mission Exchange. In 2004, the Conservative Baptist Association changed its name to CBAmerica, and in 2008, the Baptist General Conference became Converge Worldwide. Other organizations have changed names as their reach has broadened. For instance, the mission organization most widely known as SIM (Serving in Mission) was founded in 1893 as Sudan Interior Mission. . .
McConnell led efforts at Fuller to change its School of World Mission to School of Intercultural Studies in 2003, because he found that the term world mission was seen as offensive in the Middle East and Central Asia. in 2000, Wheaton College removed its Crusader mascot and eventually became the Thunder. . . In 2002, evangelist Billy Graham began using the word "mission" to describe what he always called "crusades." His son Franklin Graham and evangelist Luis Palau call their gatherings "festivals," while Greg Laurie uses "crusade." BEN WITHERINGTON - VARIETIES OF "EVANGELICALS"
Though I can't say I learned anything new from Witherington's post, I still find his listing of sub-cultures under the umbrella of "Evangelicals" worth posting. Also his comments concerning the "internationalism" of Evangelical faith hints at a story that is only now beginning to unfold. Though the term Evangelicalism has come to mean different things to different people (e.g. to very liberal Protestants it seems to be a term hardly distinguishable from the term Fundamentalism) but what it usually connotes is Conservative Protestants, and more specifically white Conservative Protestants. In fact many African American Protestants are just as conservative as ‘Evangelicals’ but they do not self-identify as ‘Evangelicals’. A good litmus test is looking at the membership rolls of a group such as the Evangelical Theological Society. Not many African Americans of any stripe are members of that group, only a very small percentage. Whether we like it or not, the term Evangelical is basically a term used by white Conservative Protestants to self-identify and very often in tandem with the phrase ‘not Fundamentalist’. Even within this swath of Protestantism it takes only a little scrutiny to discover there are a whole series of Evangelical sub-cultures. There are Reformed Evangelicals and Arminian Evangelicals. There are Pentecostal Evangelicals and Dispensational Cessationist Evangelicals. There are pietistic Evangelicals and social-action Evangelicals. There are Mainline Church Evangelicals and conservative denomination Evangelicals. There are high church Evangelicals (see the new Anglican Church in America) and there are profoundly low church Evangelicals such as the Salvation Army or the Evangelical Friends. There are Evangelicals from an Anabaptist tradition (including Mennonites) and there are various Paedo-baptist Evangelical traditions, and of course there are the Southern Baptists, who, while no longer entirely a breed apart, only mingle with the larger world of Evangelicals in some respects. Even just within the Baptist sphere, the Texas Baptists are certainly different from many of the Southern Baptists, not to be confused with the National Baptist Convention, which my colleague Craig Keener was ordained in. Writing in First things, Byron Johnson says "Evangelicalism isn't shrinking and the young are not becoming liberals." Evangelicals have not lost members. This was confirmed by the Baylor Religion Survey, an in-depth study of American religious beliefs and practices using data collected by the Gallup Organization. [...] As devout Catholics and faithful Mormons step forward boldly, evangelical Protestants appear in cultural disarray. The most popular of the new generation of evangelical pastors—Rick Warren and Joel Osteen—stay out of the cultural fray. Evangelical youth may have orthodox opinions on marriage or life, but they're increasingly reluctant to voice those opinions, lest they appear "divisive" or "intolerant." In fact, at times it appears as if much of the evangelical world has retreated into a defensive crouch, eager to promote its universally-loved work for the poor while abjectly apologizing for the cultural battles of years past. Ethic of service and concern advancing in new directions. Click here. There’s a reason you’ll find cover stories about Heisman Trophy winner Tim Tebow. And it’s not just his football prowess. America’s largest church has a capacity to hold 16,000. But while Tim Tebow may not be a preacher, when he runs into the University of Florida’s football Stadium—affectionately known as “The Swamp”—his congregation numbers just over 90,000. And you can bet they’re hearing Tim’s message. It’s not just that this University of Florida quarterback wears Bible verses etched into his eye black on game days. Tim Tebow has been making headlines for more than simply his Heisman Trophy win as a sophomore and his two national championships. This summer the New York Times, GQ, and Sports Illustrated all covered the quarterback’s strong Christian faith.
. . . leaders from 100 ministries gathered recently in Washington to discuss strategic alliances. I was overwhelmed by the response. Me: I find this news encouraging. Read the whole thing. Dr. Albert Mohler on Young Evangelicals - "They Do Not Work Hard at Understanding the World"
Hewitt: Okay, last couple of questions. Do they care about the war? I mean, you’re just back from Turkey, where creeping Islamization is happening, and not so subtle, that it’s becoming much more fundamentalist in its orientation. Does Christians, do Christians within America have any general sense of alarm about the way the world is going? Mohler: I think they have an enormous blind spot there, Hugh. I think this is one of the greatest issues of Evangelical ignorance. Evangelicals simply do not work hard at understanding the world, and I think the worldwide challenge of Islam is the greatest challenge before us, but most Evangelicals are just blissfully unaware of that challenge. If they went elsewhere in the world, they’d have to wake up to it fast. In the next paragraph Mohler says "This is a generation that reads a lot, absorbs a lot, thinks a lot. . ." Apparently young evangelicals are awake to issues within American culture, but not much beyond these shores. Pastor Mark Driscoll Featured on ABC's "Nightline"
I first posted on Mark Driscoll on January 11th after the New York Times did a major article on him. He's obviously a hot property right now since ABC"s Nightline featured him on last night's program. It's clear the secular world finds Driscoll fascinating. I suggest you click through to watch the Nightline segment on Driscoll. It's 7 minutes and 21 seconds long. Me: From the Nightline video, it seems to me that, on balance, Driscoll is doing a great job. He's clearly bringing people into his church that would never attend a more traditional church. And yet he has not diluted his message in the least. It remains unvarnished, uncompromising and biblical -- with a bit of sanctified tang and zest thrown in. Preaching always comes through a personality, and Driscoll's personality is undeniably interesting! Update #2 - 1/13/08 - Christianity Today magazine reports very favorably on a new book by Driscoll (co-written with theologian Gerry Breshears, Death by Love: Letters from the Cross. The C.T. review is well worth reading. "An Evangelical Manifesto: The Washington Declaration of Evangelical Identity and Public Commitment"
Alan Jacobs offers trenchant comments on the new "Evangelical Manifesto," seeing it weak and colorless and, as it stands, of questionable value. He writes as an insider, not an outsider. He is an evangelical himself, a professor of English at Wheaton College, Illinois. The Associated Press covered the announcement here. Warren Davis sees it representing a power struggle amongst evangelicals. So many of the "Christian Right" were neither consulted nor asked to initially sign on. That would include Dr. James Dobson and Dr. Richard Land, to name but two. Other commentators are more positive. I personally have not had time to study the document and expect to blog further in due course. This is a fascinating article that appeared today in the Washington Post. My own journey towards the Anglican Church enables me to identify with the hunger which this article describes. I had to leave the Episcopal Church in the United States some years ago, but I deeply appreciated much of my worship experience there. Sometime I will have to write more about that. Update 3/9/08 - I got around today to reading my misplaced Christianity Today magazine for February, 2008 and came across the cover story on the same subject, "The Future Lies in the Past." It is comprehensive and illuminating. Also appearing, in the same issue, the sidebar, "Monastic Evangelicals: The attraction of ancient spiritual diciplines," which mentions a number of recent books. George Barna's latest poll indicates that "a major shift in people's spirituality is underway in America." "For decades, American Christians, who comprise more than four out of five adults, assumed that they had one legitimate way to practice their faith: through involvement in a conventional church," Barna writes. William J. Petersen and Randy Petersen wrote 100 Christian Books that Changed the Century back in 2000. The Petersens present their book as a conversation piece, knowing that their selections will occasion disagreement. In their preface they caution that their selections do not necessarily represent the best books, but those that have significantly shaped people, thinkers, and movements. They offer two pages of commentary on each title. Video: Evel Knievel Testifies of His Newfound Faith in Christ. Don't Miss It! Update 11/30/07 - Evel Knievel dies at 69. This is one of the most moving services I have ever seen. It makes available to everyone the telecast at which Evel Knievel testified of his newfound faith in Jesus Christ. I don't speak often of the "presence of the Holy Spirit" in a church service, but when I first saw this program on television some months ago (4/22/07), I recognized at once how extraordinary it was. The presence of the Spirit is powerfully evident as streams of people come forward after Evel's testimony to profess faith in Christ and be baptized. If you watch this video, you will see that there was no manipulation, just an amazing moving of the Spirit of God. I suggest you not only watch Evel Knievel's testimony, but then click the little picture below to see everyday, ordinary people, coming forward to profess faith in Christ and be baptized. What's so extraordinary about all this, is that it takes place in the Crystal Cathedral in California, a place where such things are anything but routine, to say the least. Finally, click the picture of Dorothy Benham (Miss America, 1977) to see and hear an energetic, magnificent solo of "Ride On, King Jesus." This, too, is extraordinary! What a video!